Following an 8-0 Stage 3 regular season record, Boston Uprising has suddenly lost its Head Coach to the San Francisco Shock. The Overwatch League has just concluded Stage 3 and the biggest story has been the Boston Uprising. They are coming off an 8-0 regular season Stage record, only tripping up on Sunday in the $125,000 Stage 3 Finals against the New York Excelsior. The team is trending upward more than any other team in the League, which is why sudden news of a coaching shakeup comes as a shock. On Monday, the Uprising announced that coach Dae-hee "Crusty" Park would be departing the team to join the San Francisco Shock. 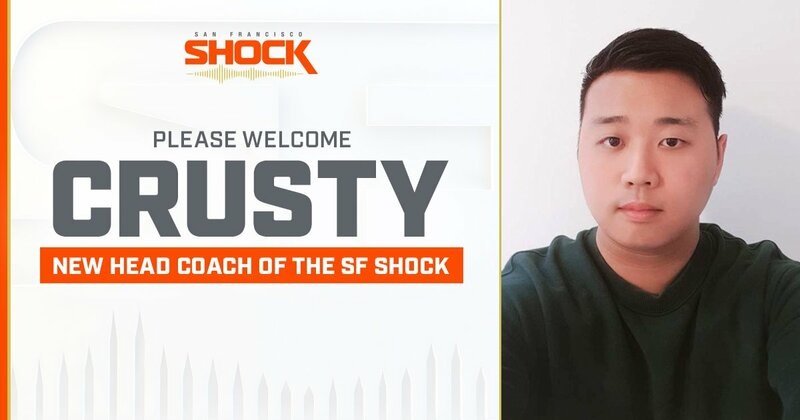 The move will be effective immediately, with Crusty joining the Shock for Stage 4 and beyond. "Following internal conversations with Crusty and our staff in recent weeks, it became apparent that a change was in the best interest of the team, as well as Crusty," reads the press release from the Uprising. "He was granted permission to explore new opportunities and will join the San Francisco Shock prior to the beginning of Stage 4. Crusty has been an instrumental part of the Uprising coaching staff and organization as a whole. We're grateful for the dedication and effort put forth by Crusty during his time here. We're happy to have helped him find a new home where he can continue to thrive." The San Francisco Shock announced the move on their end on the team's website. The team announced Crusty's arrival, along with the release of former head coach Brad Rajani. The Shock will also bring Bumhoon "Ninek" Kim to the coaching staff, bringing him up from his current position as the NRG Contenders Haed Coach. The Boston Uprising has had a tumultuous season thus far. The Uprising were an upper mid-tier team throughout Stages 1 and 2 and looked poised to break through to the next level. Following Jonathan "DreamKazper" Sanchez's termination in the wake of sexual misconduct allegations, the remaining Uprising players rallied around themselves and went on the aforementioned 8-0 Stage 3 run and currently sits in second place in the overall standings.